If nail cutting is done incorrectly, some problems might emerge. You should pay attention to some important points for proper nail cutting when cutting your nails. When nails are cut properly, you are able to get rid of problems such as ingrown toenails. If you leave your nails long, you should make sure every day that inside of nail is clean or not. Germs get into nails when you put your hand into your mouth or stratch your body. Germs first locate this area then deploy other parts of body. Germs might get into long nails therefor you should be careful about your nails cleaning and should cut your nails regularly or daily. You should not cut your nails too close to beneath layers of nails. You should align bottom layer of nail and cut as curve shape. You must, also, cut foot nail straight in the same way, but not more deeply. You should wait your hands or feet in warm water for a few minutes before cutting your nails.This method softens your nails and makes easier to cut your nails. Waiting your hands or feet in warm water will get rid of you about breakage, seperation or peeling of nails during cutting. You are able to cut your toenails that are diffucult to have cut, more easily by this method. You should cut white part of the nail extending as alinged layer located under your nail. If you cut your nails deeply, then your finger tips will be sensitive, redden and shape of the nail will deteriorate. You should wait for a while to start filing process after cutting nails. Waiting time is for drying of your nails which have been softened in warm water. 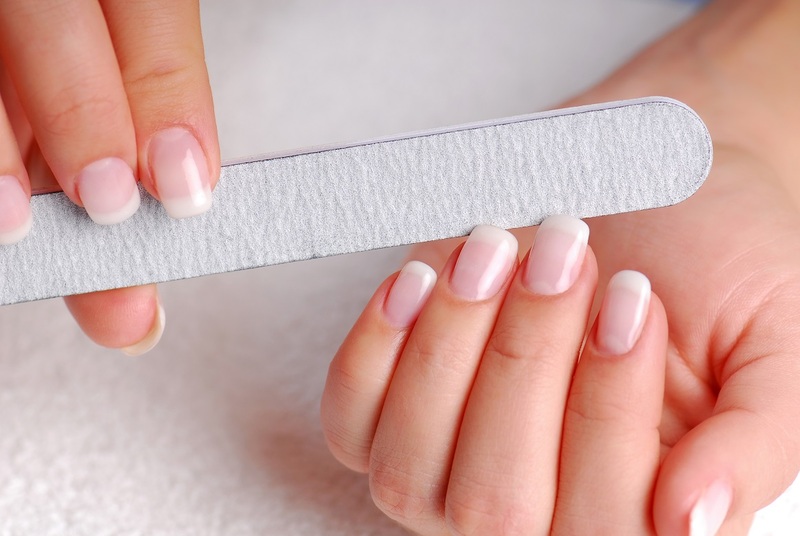 Nail filing will cause cracking and peeling when nails are still soft. You need to make filing process to have smooth nail edges. You should correct remaining parts when you check your hand. You must perform this process as required. When you finalize filing process for your nails, you should apply oil-free hand cream and rub your hands and nails. Ingrown toenails that might occur due to incorrect nail cutting, may turn into serious conditions that require medical operation. Ingrown toenail that is seen mostly in big toe, causes pain and swelling. Inflamed area can be treated by medical operation. These are great tips for keeping your nails healthy!